It's been a stellar year for Blossoms so far, here's what you should know about the Stockport band. 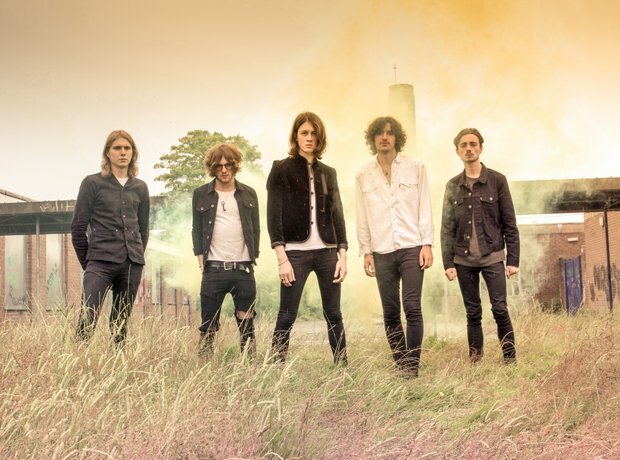 Blossoms are made up of Tom Ogden (vocals), Charlie Salt (bass), Josh Dewhurst (lead guitar), Joe Donovan (drums), and Myles Kellock (keyboard). The five-piece hail from Stockport, Greater Manchester. Tom went to secondary school with Joe, who was also in a band with Charlie. They were later joined by Josh and Myles who were also in different bands at the time. Blossoms have already previously released four EPs in Bloom (2014), Blown Rose (2015) Charlemagne (2015), and At Most a Kiss (2016) - all before dropping their debut album. The band have also released huge, anthemic singles in Charlemagne, At Most A Kiss, Blown Rose and Getaway, plus have just released This Is The Moment, their collab with Chasing Status. Tom and co. have supported the likes of Kasabian, The Last Shadow Puppets and The Libertines. Blossoms are heading out across Europe and will be playing dates in London, Bristol, Birmingham Liverpool and more throughout March. Plus, they're be playing a massive show at Manchester's Castlefield Bowl in July! Blossoms released their eponymous debut LP on 19 August 2016 and scored a UK Not 1 with it. Not too shabby for a first outing.